What are the main challenges B2B marketers will be facing in their email marketing efforts for 2011? More importantly - what are the solutions? 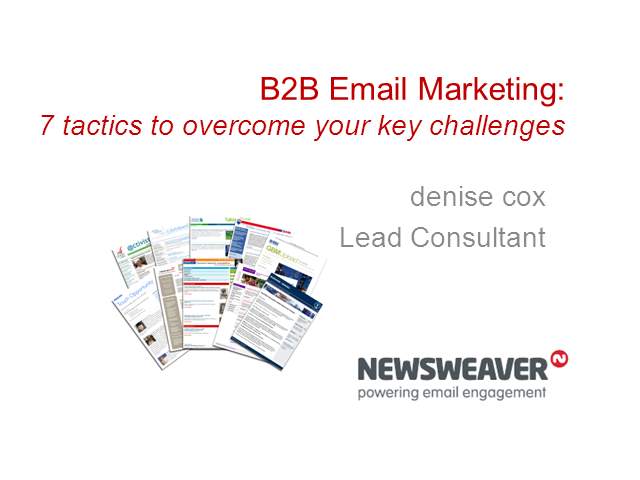 Based on MarketingSherpa research and Newsweaver's own customer feedback, lead consultant Denise Cox, will take attendees through these challenges - offering strategies, tactics and take always that can be used immediately.